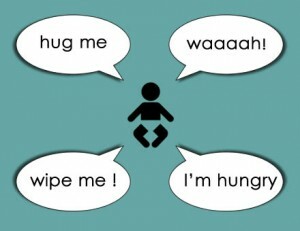 Home » General Interest » Do Babies “Speak” with an Accent ? We all “know” that infants don’t actually speak with an accent because they don’t really speak at all. However for a long time scientists have presumed that an infants’ brain could not process sounds at all. Recently this was put to the test and the results were surprising indeed. Scientists studied infants between 6-8 months whose parents spoke different languages, including English, Swedish, Japanese and Russian. Of course different languages are made of different types of sounds. For example native English speakers have difficulty pronouncing the subtle vowel differentiations of French, while native Japanese speakers have trouble differentiating the l and r sounds of English. Because of these variations, they decide to test if a child of say, Russian-speaking families responded particularly to the sounds of the Russian language, or if their reaction to speech did not vary from language to language. This conclusion may also help to explain why it is difficult for second-language learners to abolish their accents. The sounds of our first language are so primary it is formidable—if not impossible—to learn some sounds of foreign languages.